Playing The Best Gospel Music Today & Tomorrow! 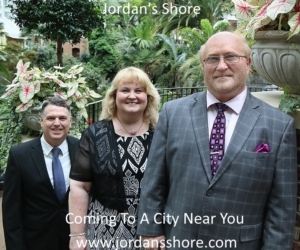 Since the group’s inception in 1980, Gold City Quartet has become the standard to which all other quartets strive to meet. 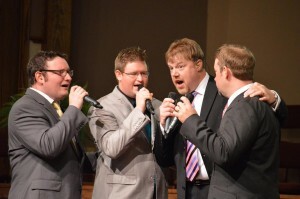 This Quartet’s legacy is rich and deep with talent, ministry and love for the Lord. The current line-up is no exception. If you ask these guys each other’s best attributes, they’ll tell you first that their success in ministry is a collective team effort. They are a great team as a whole. One part of that team is Chip Pullen. Chip sings lead for the group and is a down-to-earth guy who is a great friend to have. He brings energy and excitement to the Quartet both on the stage and off. 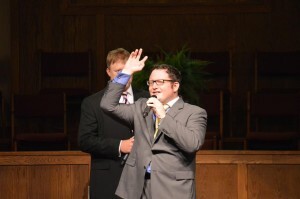 He is an asset to the group and you can see his heart for Christ with every word that he sings. Robert Fulton is another part of this team. Robert sings the tenor part and is a self-professed nerd who loves trivia and game shows. He is the go-to guy if you want to be in the know on world events. He has a tender heart to serve and you can hear that when he shares the gospel from the stage. 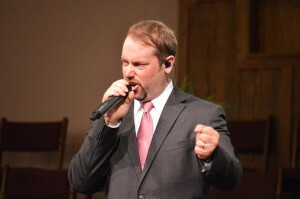 Daniel Riley sings the baritone part and manages the group. Daniel is a constant source of encouragement for these guys. Not only does he pray for them, but he prays with them, as well. 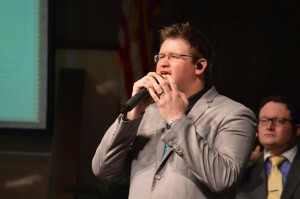 Daniel builds confidence in the lives of others and truly has a heart for ministry, in addition to being the man behind the details of running this successful quartet. If you were asked to name an icon in southern gospel music today, the name Tim Riley would be on your short list. This Hall of Fame inductee has truly been famously singing the bass part for Gold City. He is the mentor of the group, resonating with each member as the ultimate voice of experience. The other group members all agree they seek Tim’s advice and wisdom 4 editin all things, and his road stories can’t be rivaled. He has a real desire to reach the lost. 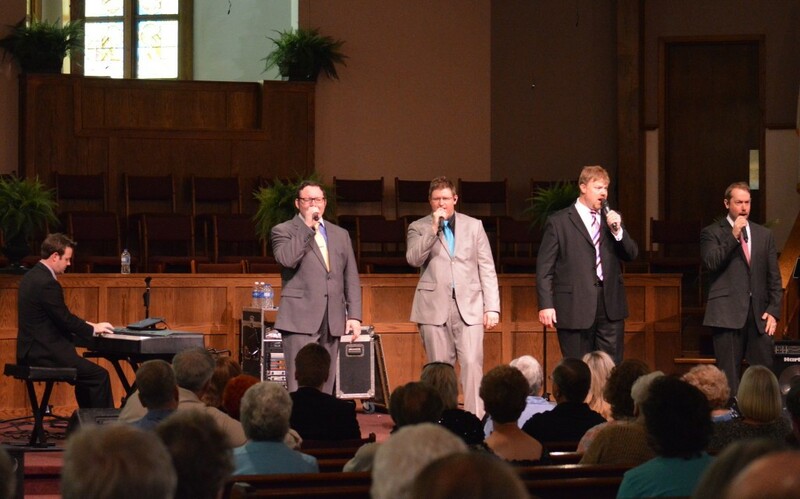 Tim wants to see others make great music and perpetuate Southern Gospel. Reports of his progress since his recent stroke are positive. He is at home, in good spirits, and making great strides toward recovery. Chris West is helping to hold down the bass part while Tim is recovering. Chris is a long time Riley family friend who has filled in beautifully. The guys say Chris is great to travel with and has become a real friend. He has a laid back personality and he really enjoys serving the Lord. Another important member of this team is Bryan Elliot. One of the very best musicians in this business, Bryan makes the piano sound fabulous day in and day out while bringing glory to God. He is a devoted family man who has a wonderful sense of humor, and he genuinely cares for people and truly desires to see others come to a personal relationship with Christ. The sound for this quartet has never been better and part of the reason the mix is always perfect is because of Chuck Howe, Gold City’s sound engineer and road manager. He is their resident MacGyver, fixing the most difficult problems with nothing more than a rubber band and drinking straw. Chuck is willing to help do anything and help anyone at anytime. 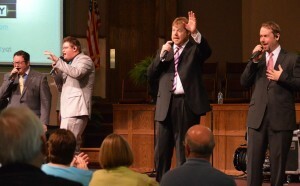 He is invaluable to Gold City Quartet. These men love their job and they love their Lord. They all share a firm desire to see people come to the salvation of Christ. 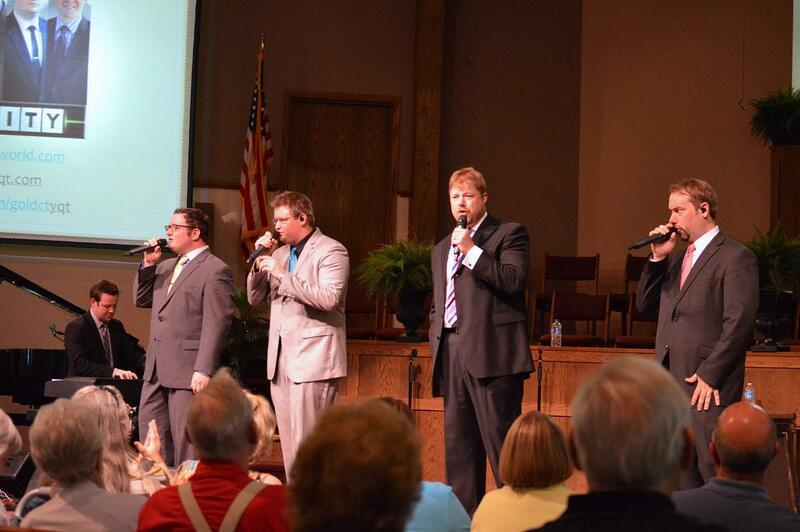 They strive to encourage believers in their faith and further Southern Gospel music. 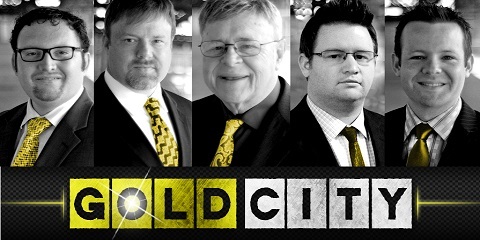 Gold City Quartet has an historic legacy and a bright future, in fact; you could say it’s as bright as…gold.